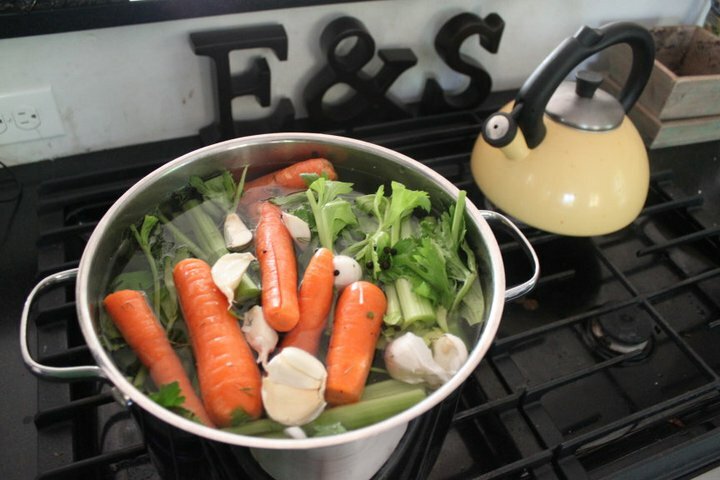 Place the chickens, onions, carrots, celery, parsnips, parsley, thyme, dill, garlic, and seasonings in a 16 to 20-quart stockpot. Add 7 quarts of water and bring to a boil. Simmer, uncovered, for 4 hours. Strain the entire contents of the pot through a colander and discard the solids. Chill the stock overnight. The next day, remove the surface fat. Use immediately or pack in containers and freeze for up to 3 months. It makes the house smell so good, too. Enjoy!